The Vassals of Kingsgrave gather for the 5th meeting of the VOK Book Club. 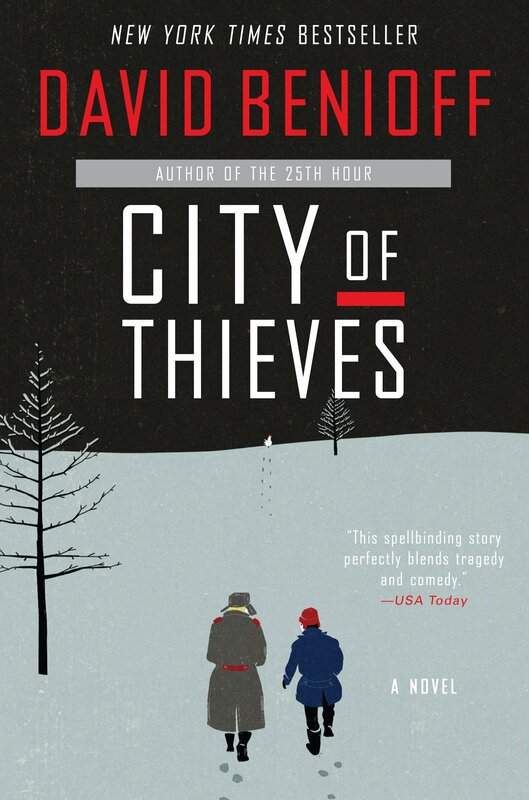 This time around we discuss City of Thieves by David Benioff; a chilling and yet darkly humorous tale of an impossible quest in a city under siege and a partnership between polar opposites. Join hosts Greg (claudiusthefool), Alex (Lucky Charms), Zach (Alias), Matt (Eiffel), Dan (witless chum) & Scott (Skywaltzer) as they follow Lev & Kolya through their various trials and tribulations against cannibals, partisans, Germans, cold, hunger & chickens as they attempt the impossible; to find a dozen eggs. Be sure to vote on the forums for the next VOK Book Club pick and the new Book Roundtable discussion. This entry was posted in Books & Novellas, History, Podcast and tagged Alias, claudiusthefool, Eiffel, LuckyCharms, skywaltzer, witless chum. Bookmark the permalink.